Our international medical summits are providing cutting edge research and updating training for the medical providers while stimulating conversation and collaboration among researchers working in the field. 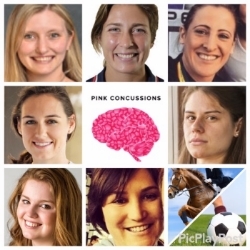 On February 27-28, 2016, PINK Concussions organized the first stand-alone conference ever on female brain injury. 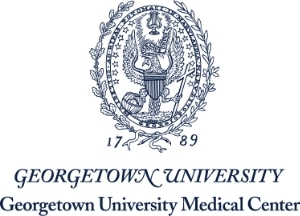 This summit was hosted by Georgetown University Medical Center with support from the NCAA and US Lacrosse where 65 world class concussion and TBI experts presenting 25 scientific papers and 40 research posters for 220 medical care professionals. This summit endorsed by the Brain Injury Association of America, Brain Injury Canada and the Women’s Sports Foundation. Keynotes were presented by Major General Margaret C. Wilmoth PhD, MSS, RN, FAAN, Deputy Surgeon General for Mobilization, Readiness, and Army Reserve Affairs, U.S. Army and Brian Hainline MD, Chief Medical Officer, NCAA. To hear what presenters had to say about their experience at this event, click here. Katherine Snedaker opened the event with the PINK Concussions Award Ceremony and Briana Scurry welcomed the group and emphasizing the benefit of sports for youth with the message that health and safety issues, particularly concussions, need to be taken seriously. This year’s award will be presented to Gordon and Kathleen Stringer in memory of their daughter, Rowan Stringer, for their extraordinary efforts to pass Rowan’s Law. Rowan’s Law will ensure greater awareness and better treatment for concussion related injuries in Ontario. While every state in the US has concussion related legislation with the passage of Rowan’s Law, Ontario would be the first in Canada. The Athlete Panel: Can We Improve Care for Females? The Press Panel - Can The Press Change Sports Culture? appeared on ESPN's Outside the Lines, Sports Illustrated Online and NBC-CT. In 2014, Pink Concussions created and produced four state-wide conferences which trained over 800 school nurses, medical providers, athletic trainers, athletic directors, and school administration. We provided professional training school nurses at Trumbull and Cheshire Public School Nurses, nursing students at Sacred Heart University and presented at UConn-Stamford, Quinnipiac University School of Medicine. conducted two research studies with Clemson University on 900 athletes which have presented at two major brain injury conferences. Three college-age women suffered concussions and out of their experience created non-profit online community for athletes to share their concussion stories. Concussionconnection.com is an online resource dedicated to educating and supporting athletes and their parents through Concussion. Between the two founders, Lauren and Samantha, they have suffered approximately 16 concussions throughout their sport careers. It would be years of dealing with the unending effects of multiple concussions before what would seem like “fate” brought these two together.